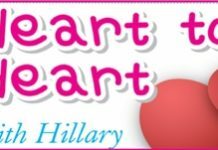 Home Blogs Heart to Heart with Hillary Where’s my umbrella? We live in Jomtien and often go to the beach there as it seems to be very popular with the Thais, as we see them swimming there a lot. Why do the Thai people wear clothes when they go into the sea? Sometimes it looks like shipwreck survivors from the Titanic. Some Thais wear bikinis, but they are in the minority. I even see them going in wearing jeans! Why, Hillary please tell us. This is very easy to explain. Why do people with white skins use tanning lotions and tanning clubs? Because they want to be brown. Why do people with brown skin use umbrellas during the day? Because they want to be white, in fact “whitening” creams are the biggest selling cosmetics in Thailand. So when they go to the beach, they cover up as much as possible, and that is why they enjoy swimming – but fully clothed! Next articleHow much Royal Garden? Cleaning Service – no charge!